What is Radio, and Amateur Radio, all about? Radio communication or “wireless” is a vital part of global communications and gives us the freedom to roam all over the world and remain in contact with others. Radio is key to our mobile phones, our WiFi and Bluetooth. With the increasing impact of smart technology where all things will be interconnected and be able to talk to each other around our homes and offices, we need radio to make this happen. Much of our TV comes to our homes via radio from transmitters. 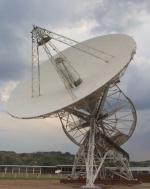 Our dishes receive TV signals from satellites many 1000’s of km above the earth. We are exploring off-world, sending unmanned craft deep into space and getting signals and images back. We have astronauts orbiting the earth in the International Space Station and soon we will put people on the moon, send them to Mars. Without radio/wireless technology these would be impossible to achieve. Medically, we can put tiny cameras and electronic instrumentation packages inside peoples body’s to help doctors diagnose and treat various conditions to improve patients lives, again without radio we would not be able to do this. It has been known for a number of years that planets and stars emit natural radio signals. Keen amateur astronomers sometimes also monitor these signals and a global network of enthusiasts can confirm or make discoveries scientist miss, the universe is so gigantic that not all of it can be covered by the professionals and amateurs can and have made significant discoveries. Our own planet gives off radio frequencies although specialist equipment is needed to detect them, however, thunderstorms and lightning can be more easily detected and a radio network of enthusiasts exists around the world plotting and tracking storms by this means. For some, their hobby is launching large balloons that reach the edge of our upper atmosphere. 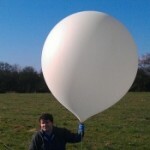 The balloons as they progress send back radio telemetry signals and sometimes images of their progress and can be tracked with relatively simple equipment. In some cases, these high altitude balloons have circled the world and a network of radio monitoring stations chart their course. Similarly, there are people who enjoy making and launching model rockets (and also much larger ones), they use radio to get signals back and measure the performance of their rockets. Radio controlled cars, boats and planes as well as drones use wireless for control and sometimes relaying images back to the control point. The immense value of radio waves and their use has been appreciated throughout the world for a very long time. All governments control, regulate and licence their use, not as in some countries to restrict communication and information but to protect this very important commodity from interference, to ensure that the important signals get through unimpeded. You can buy and used what is called ‘licence exempt’ equipment. These cover a very restricted range of frequencies and are of low power and usually for a specific purpose. You can not build or modify the equipment legally or in many cases change the aerial to increase signal range. One such example of this type of apparatus is your wireless router or hub. By becoming a radio amateur or, as it is often said, a “radio ham” (or just “ham”), allows you to be part of this exciting means of communicating. No licence is required in the UK to receive any of the signals, however to transmit signals which could speech, television or data, does require a special licence. This licence is free but does require training and an exam to be passed. Training in some cases might be free, but there is an examination fee. In the UK there is a tiered system of three licence levels that permit operation and transmission of radio signals. The first level, called the ‘foundation’, does not require a great deal of technical knowledge and mainly revolves around knowing what frequencies can and can’t be used, power levels for transmission along with other rules of do’s and don’ts. The next level is ‘intermediate’ and some technical electronic and radio knowledge is required. On passing the exam your licence can be upgraded and allows more possibilities to be undertaken. The final level, called ‘advanced’, requires more in-depth knowledge of technical matters and on successfully passing the exam and upgrading your licence, you have access to the entire amateur radio spectrum. 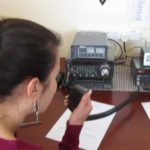 You do not have to be very technical to operate amateur radio equipment and there is much fun to be had listening and receiving signals from far-off places around the world and beyond. 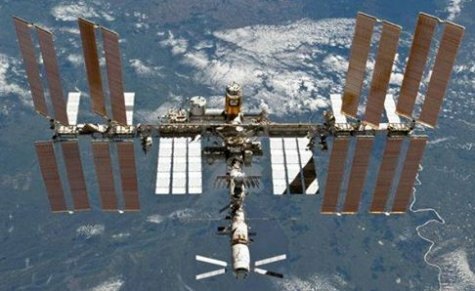 With an appropriate licence you will be also able to transmit and make contact with other Hams locally and around the world, communicate with the International Space station astronauts. Use a number of specially built amateur satellites for global communication, bounce radio signals off the moon and receive them back yourself or have a contact with people far away by doing this. You can use special Internet/wireless transition or access points to jump from radio to Internet and vice versa to make contacts around the globe. Make use of special and perhaps rare atmospheric conditions that enable contacts to be made over that normally possible and well as using meteor showers to communicate as well as the wonderful visual Aurora’s that occur. With an appropriate licence and if you are interested and inclined, you can build or modify your own transmitting equipment as well as aerial or antenna systems, generally experimenting with all aspects of radio communication, the sky is not the limit. Also, there exists an ‘Amateur radio emergency service’, if at times and places of natural disasters power and communications are disrupted, amateurs have equipment and knowledge of how to get through important messages and worldwide network exists. The UK is not immune to emergencies, there are often situations where coastal or river flooding is feared or actually happening that may need monitoring or people evacuating. 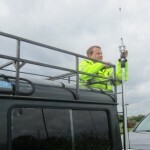 These tend in many cases to be rural and not have very good if any conventional means of communications amateurs have equipment and expertise that can assist the authorities in such situations. Often of hikes and moors walks where there is little mobile phones coverage amateur radio can and is used to provide reliable communications. How much does Amateur radio cost, what can I do? It does not have to cost much to get started with Ham radio. It is true like so many other things that it can get expensive. Many dream of a brand new top of the range Ferrari or Porsche, owning their own Pacific Island or maybe a castle in Scotland. For many of us, we can only achieve what is within our financial means and keep dreaming and hoping. If you own a computer or laptop and have an Internet connection, there is no additional cost to listen via the Internet and adjust the frequency of someone else’s receiver to hear and monitor the signals being received at their location, with their setup (See www.websdr.org). People without a transmitting licence are called ‘short wave listeners’ or SWL’s and when your interest in amateur radio increases, you will find most probably that there is a club local to you where you will be welcomed, encouraged and assisted in your interest. 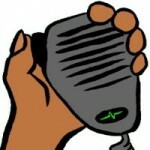 If you decide to go for a transmitting licence you will find help there and they may even offer free training, many do. There are also on-line clubs or groups such as Essex Ham that provide lots of useful information, help and training. 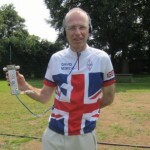 There is a national society in the UK for amateur radio, it is the Radio Society of Great Britain (RSGB). It is worthwhile joining and becoming a member, if you are under 25 and a student at any level, there is no cost. The next step up would be to have your own receiver. There are stand-alone receivers that can be bought, these tend to be a bit pricey. 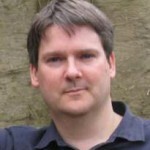 Like so many other areas of our lives, computerisation is occurring and radios linked to our computers are available. We call the ‘software defined radio’ (SDR) a basic item that allows local and satellite signal to be received can cost less than £10 (such as the Realtek SDR dongle). They typically come with a modest aerial that frankly is not much use, so depending on what you want to receive, there might be additional outlay. As you would be receiving only, you can always experiment in making your own, trying out different designs to see what works best in your location. The next step on would be for around double the cost (£20.00) you can get a basic RTL SDR receiver that plugs into a USB socket that will allow signals from all over the world and beyond to be received. Again the aerial supplied is not good, so additional expense or making one’s own is needed. With a cheap SDR receiver, there are many other services you can tune in to outside of the amateur bands. You can listen to foreign language and music broadcasts. Private and emergency services voice and messages, although many are encrypted or otherwise made un-intelligible to unauthorised users. Pilots in airplanes and ship-shore communications, although again these may not always be intelligible. It is possible to plot positions of aircraft overhead from their transponders and if you live close to the coast or major river/estuary you probably could also plot the course of nearby ships from data they transmit for safe navigation purposes. You could also receive signals from the low orbiting weather satellites as they pass overhead and get up to the minute images and data on the weather. When you are ready and passed your foundation exam and got your first licence, for local communications a, basic transmitter and receiver combination (a transceiver) can be obtained from about £25-£30 upwards. As previously mentioned the antenna is usually a limitation with this equipment so additional cost might be incurred, however many use these handheld devices with original antennas very successfully for local communications. If you are wanting to move on to world-wide communications then there is quite a price jump on transceivers, a basic beginners rig might cost between around £150-£200 (e.g. Xiegu X108) plus an aerial with the possibility of other equipment being needed also raising the price to perhaps £400-£500. This could be on top of costs involved if you also wanted to make local communications. Beyond this, there is always the possibility of upgrading the equipment and aerials if you want to get deeper involved with the hobby. If you have a competitive nature you might enjoy some of the various contests in amateur radio. Many of these involve making as many contacts as possible within a set time period, scores are based often on distance of the contact. These contests take place locally, nationally and Internationally with awards or prizes being made to the winner. If you have a like of outdoor activities and some exercise there are many that operate whilst walking and some set up temporary stations in a field, these can be in remote an uninhabited places. There is a growing interest with some for locating hidden transmitters, again this is competitive and a certain number pre-placed typically in wooded areas needs to be found in the quickest time, you do not need a licence to take part in this receive only activity. If you want to receive or operate in any of the specialist modes, there may be other costs involved. For most of the data modes and still images, nowadays it is done in software and typically this is free, just download, install, configure and use. If you want moving images (TV) then the costs can be quite high. The vast majority of Hams start off with a modest outlay, see where their particular interests lie and build up there stations and equipment over a good number of years.